Glenda Rae Fuller, daughter of Herb and Trudie Schlickelman was born April 21, 1947 in Emmetsburg Iowa. She passed away Thursday, March 21, 2019 in Aurora, Colorado at the age of 71. Glenda graduated from Ruthven High School and attended college at Iowa Lakes Community College and in Colorado. Glenda moved to Colorado in 2010 to be near her family. She was very proud of both of her grandchildren, Zachary, currently serving in the US Marine Corps and Miah Noel, High School Junior and Avid Cheerleader. 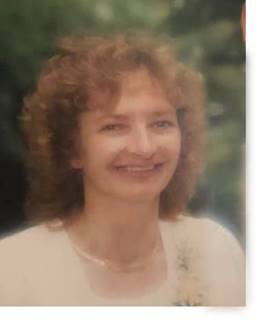 Glenda was an avid crafter and loved to crochet. She is survived by her sons: Tom (Trina) of Aurora Colorado and John Fuller, Omaha Nebraska. Two grandchildren; Zachary, Cherry Point NC and Miah Noel, Aurora, CO; sisters, Wanda (John) Breimhorst of Jordan, Minnesota, Lois Enger of Emmetsburg, Iowa, and Dawn (David) Lysaker of Pelican Rapids, Minnesota. A Celebration of Glenda’s Life and Interment at the Evergreen Cemetery in Emmetsburg is being planned for August.